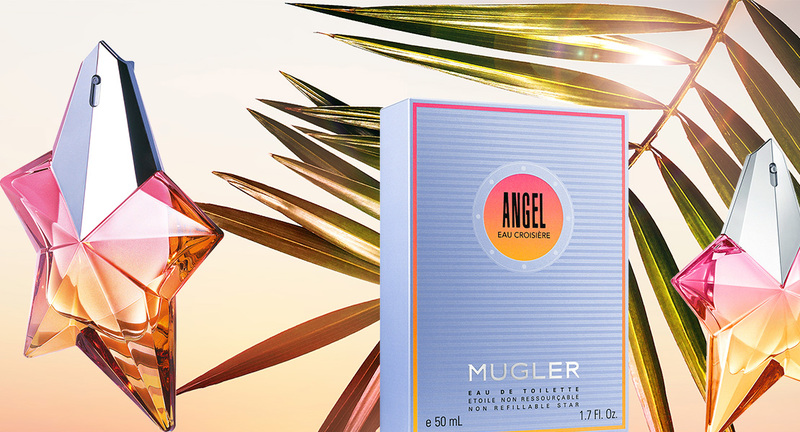 Angel Eau Croisière immediately shows his affiliation with the Thierry Mugler family and rediscovers the emblematic bottle of the brand. This unique fragrance is presented in the creator’s timeless star, a flacon that looks nothing like the atomizer of which has a futuristic silver look! On the other hand, if the silhouette of this star remains unchanged, Angel Eau Croisière chooses a completely new color. Pastel blue of the past disappeared in favor of much more vivid and festive nuances. Angel Eau Croisière is decorated with a sunny orange and a super pink rainbow! This new gradient speaks volumes about the philosophy of this new fragrance. Angel Eau Cruise invites you to enjoy the pleasures of life and to watch the world in the best light. These fragrances are presented to us in a blue striped box, referring to the uniforms worn by the crews of cruise ships. In the middle of this packaging is drawn porthole, which gives us a view of the sunset over the sea, and at the same time proudly displays the name of the new Angel Eau Croisière. Inside this bottle hides a summer cocktail with an infinitely fruity aroma. Very sunny, this perfume is round and bright. Energetic at will, he invites us to enjoy every moment and enjoy the delicious sensations. To this end, it is divided into two different aspects. Angel Eau Cruise is initially similar to a fruity cocktail filled with vitamins. 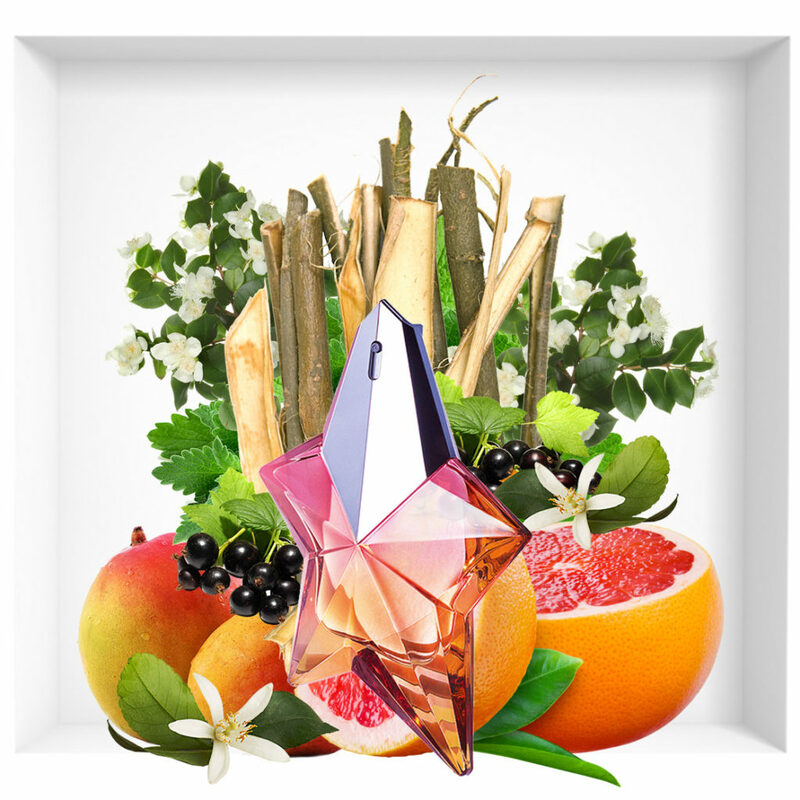 It combines the exoticism of mango with the freshness of grapefruit and the sour breath of blackcurrant sorcerin. Then, the more sensual one enters the stage. Patchouli strengthens the strength of the whole and gives it more character. The original Angel praline here emphasizes the whole palatability of this essence. The set is signed by the talented Sidonie Lancesseur and embodies a summer light and refined escape. So what are you waiting for to enter the new ship of Thierry Mugler?